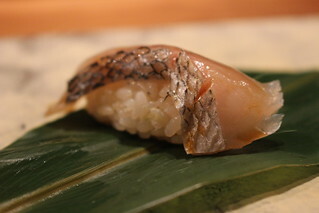 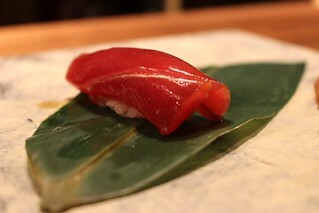 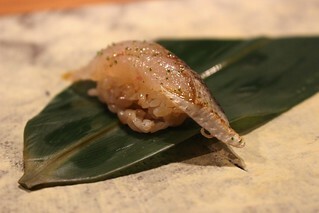 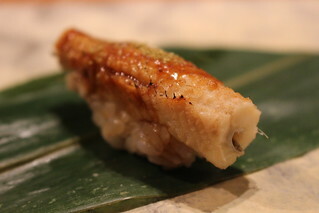 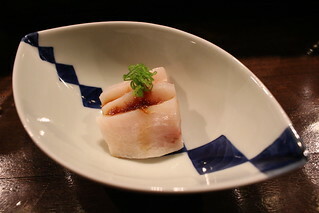 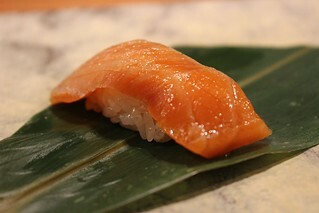 The traditional edomae sushi as they do at Q means that they put no sugar in the sushi rice, so you may notice a difference when you first eat it. 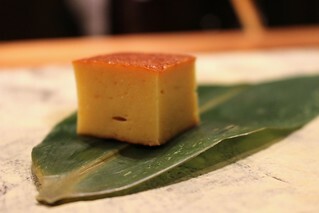 There is no dessert at Q and you will also end with a tamagoyaki (before the miso, of course). 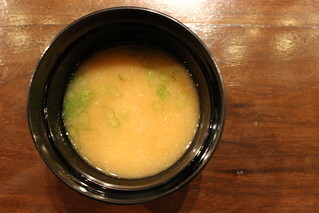 To finish everything: miso soup. 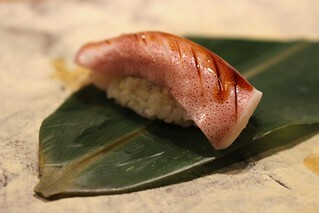 Q is easily one of the top sushi restaurants in Los Angeles right now (and I'm happy that there are quite a few these days). 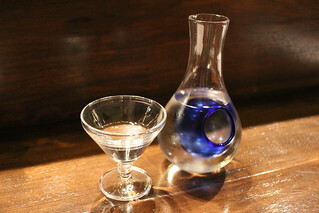 The price point is high (around $165?) 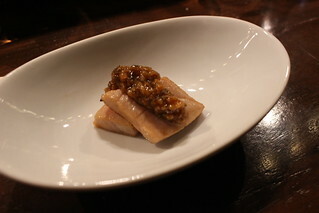 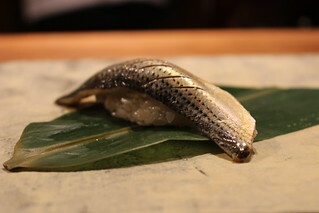 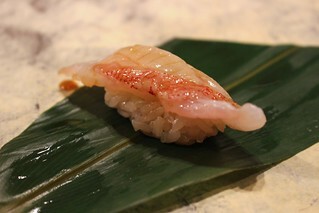 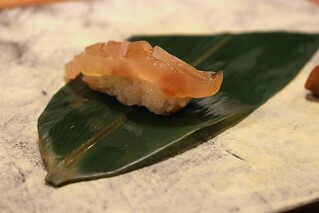 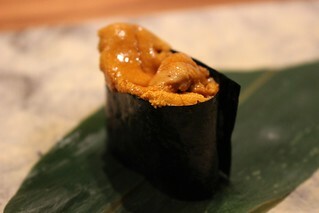 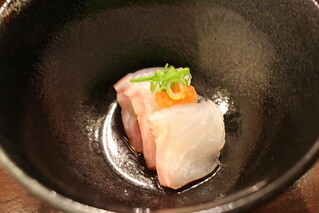 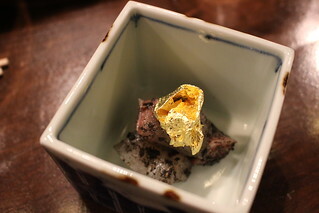 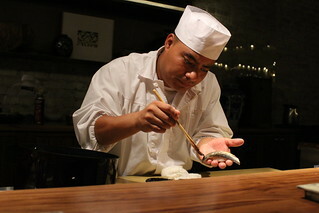 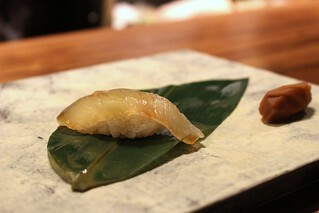 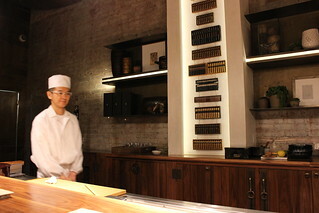 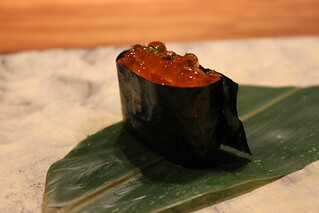 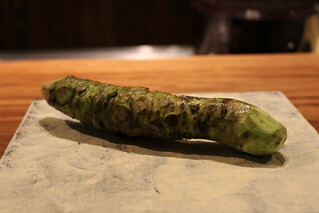 and since it's omakase only you'd have to save dinner here for a special occasion. 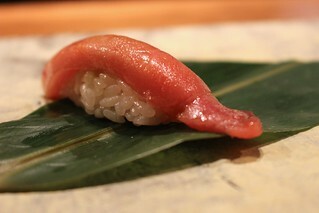 If you just want to try it, they do have a cheaper and smaller omakase for weekday lunches.